The Sensors Group led by Shih-Chii Liu and myself at the Institute for Neuroinformatics (INI) in Zurich, Switzerland centers its work on bio-inspired and neuromorphic event-based sensory processing. 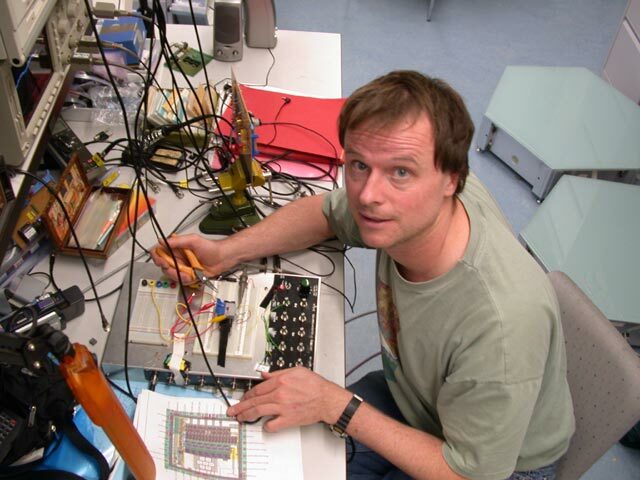 I am a titular professor of physics and electrical engineering at the ETH. Together with Shih-Chii Liu and Giacomo Indiveri we form the "hardware groups" at INI. I've also been visiting faculty at Caltech. 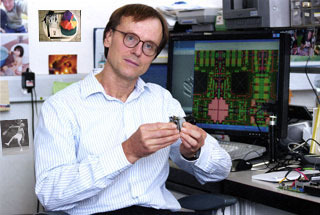 I help co-organize the annual Telluride Workshop on Neuromorphic Engineering, am Fellow of the IEEE, former chair of the IEEE CAS Sensory Systems TC, former co-organizer of ISCAS Live Demonstrations Sessions, CAS Lecturer 2007-2008, member of the Society for Neuroscience, and associate editor of IEEE Trans. on Biomedical Circuits and Systems. Our books : Event-Based Neuromorphic Systems and Analog VLSI: Circuits and Principles.